I have just received a roll of certified organic natural canvas. This canvas is unbleached and un-dyed, and just like the natural canvas that this is replacing, you can still see the flecks from the cotton fiber. It’s the real stuff, like real organic vanilla bean ice cream! Yum! The Natural Canvas Rucksack is now certified organic, inside and out. Woo! For the time being there won’t be a price increase. I will make a little announcement ahead of time, when/if I need to. 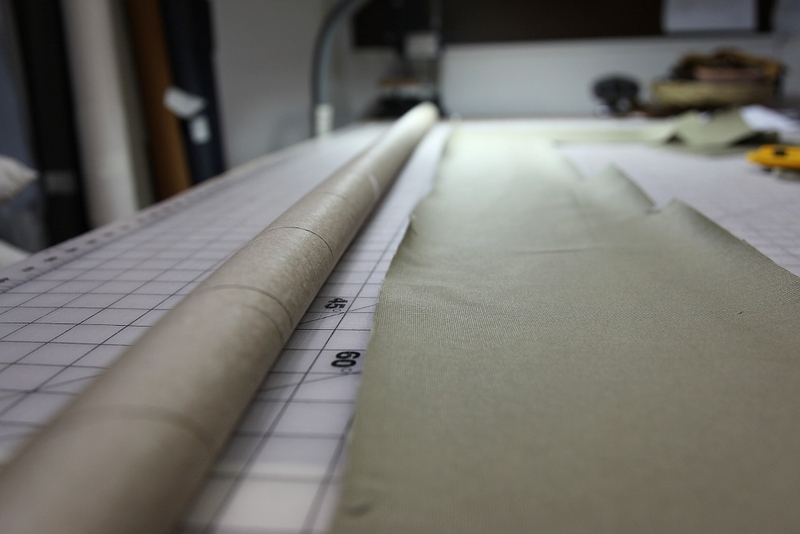 The end of my last roll of khaki cotton canvas, marked the switch to my new organic canvas. This material is 100% certified organic, and uses low impact dyeing methods. I received a nice sized roll last week and this is now being used to line the Rucksacks and Day Packs. 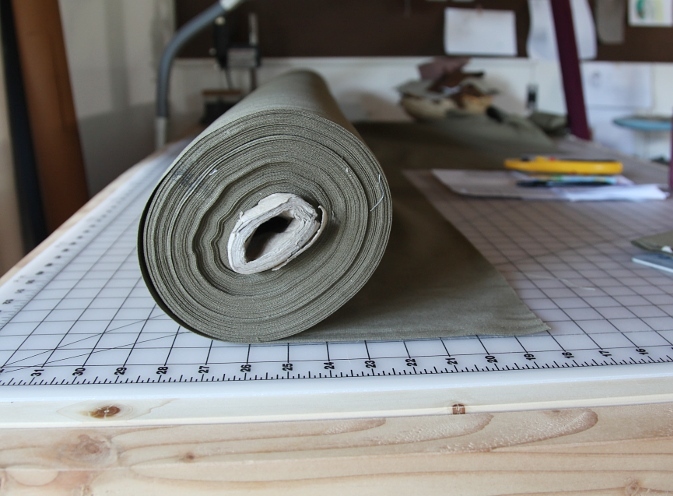 I try to keep a balance in the variety of materials I offer in the shop and while my focus has always been on organic, I offer a few conventional fabrics for the purpose of providing more options to my customers. 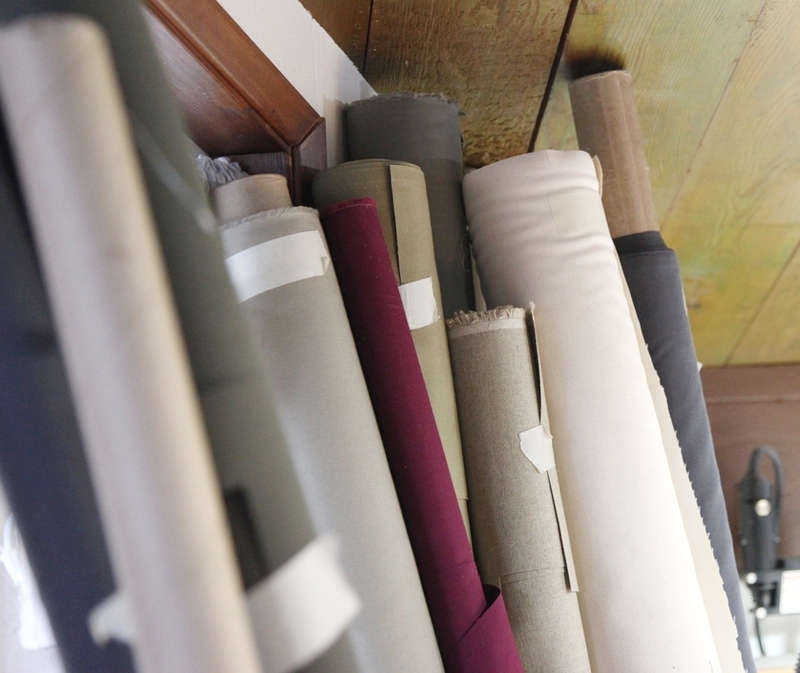 I will keep working to replace these fabrics with organic, more sustainable alternatives. While the cost is a bit higher, I always do my best to keep final costs down for my customers. I feel it’s a really worthy switch. Here are a few links for those who might be interested. I don’t usually post this kind of thing, but my sister came over today and had on a pair of these super cute boots by Simple. She said she got them at a sidewalk sale in Old Town and she wears them all the time… they are “made of recycled stuff.” I, being way into natural fibers and one who recycles everything, inspected them closely. I swore the uppers were made from hemp and the tread was clearly recycled tires. The loops around the buttons seemed obviously to be inner tubes, and the buttons up the sides looked like coconut. While my sister wasn’t completely tuned in to the details, she did find them worthy of buying and like she said, she “wears them all the time” (and where was I during this sidewalk sale??). I think I want a pair myself! My sister has the Hemp ones..
P.S. ~ HAPPY NEW YEAR EVERYONE! We are in for an exciting year. REMEMBER to keep it together, and stay close to what is real. The more of us there are that can hold a space of peace and continuity, the better off we will all be, as a whole. I am excited to be alive and happy to be healthy and full of life, everyday.